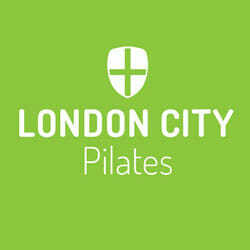 If you've ever wondered what makes people fall in love with Pilates, this taster option is for you. Try your first class for just £10. With one private training session and two mat classes, our Starter Package is outstanding value. Single use only. Our most popular special offer gives you two Pilates classes for the price of one: two classes for £18. One purchase per customer. With a maximum of six people per class, our mat classes are both dynamic and enjoyable. The Physiotherapy approved repertoire means each class, whether it’s Beginner, Intermediate/Advanced or Circuit, will allow to you to practice Pilates with the confidence you will safely achieve your rehab or exercise goals. For more details, see our Classes page. Enjoy the privacy and individual attention of a one-on-one session with our expert trainers, benefiting from a programme designed to meet your specific needs. In our spacious gym/studio you will have access to all the latest equipment including; reformer, trapeze tower, wunda chair, TRX, weights and cable motion strength tower. For more details, see our Private Training page.